Eurostar tickets for the direct weekly summer service to Avignon in the heart of Provence are on sale now. Tickets are available from £109 return in Standard and £249 in Standard Premier. The direct service will run every Saturday from London St Pancras International and Ashford International from 7 July to 1 September 2012. The journey from London St Pancras International takes less than six hours (and less than 5h30 minutes from Ashford International) and delivers travellers within a short walk from the ancient city walls. The recommended check-in time for the direct Eurostar service to Avignon is 60 minutes before departure. Eurostar also offers connecting services all year round that arrive into Avignon TGV station, which is located just outside the town centre. To book, please contact Ffestiniog Travel on 01766 772050 or email dan.may@ffestiniogtravel.co.uk. If you fancy exploring Switzerland at a substantially reduced rate this year then we would like to tell you about a fantastic 2 for 1 offer which is available for a limited period during 2012 to couples who book through Ffestiniog Travel. If you wish to travel further afield a rail pass may be just the ticket for you! Take a look at our website for more details of the rail passes we offer. 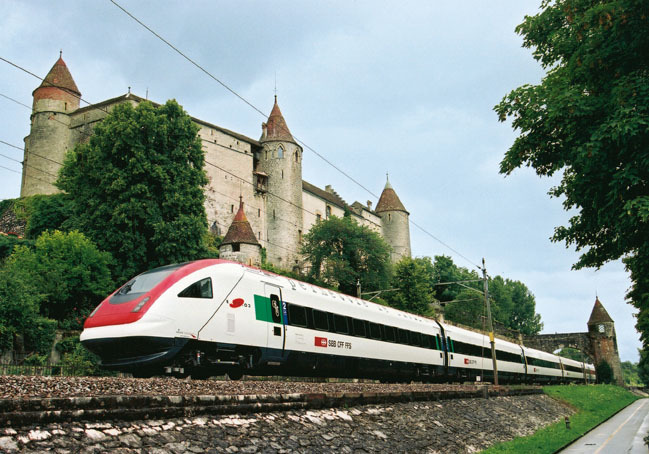 Currently we supply Interrail Passes, Benelux passes and Swiss Passes, but watch this space as we will be soon be revealing a exciting new range of rail passes! Did you know that we can also offer city transport passes for many cities around the world. Please ask if your destination is covered. Is your destination too far to travel in one day? Did you know that we can arrange accommodation for you to stop off enroute. Please ask us to add a hotel to your booking. With immediate effect, the UK Border Agency will be carrying out additional checks in the UK for some trains arriving from Brussels and Lille. Travellers may therefore experience a short wait before leaving the Eurostar terminals in the UK, please allow an extra 30 minutes for any onward connections.